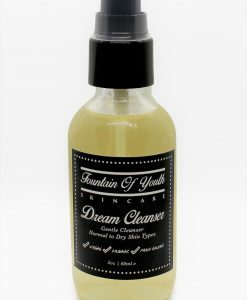 Dream Skin Cleanser is amazing for normal, dry or mature skin types. Loaded with antioxidants like all of our products, this cleanser balances the skin while it fights off aging and daily pollution/damage. Our antioxidants are loaded with extra electrons that give all the extras back to damaged cells to make them whole and healthy. 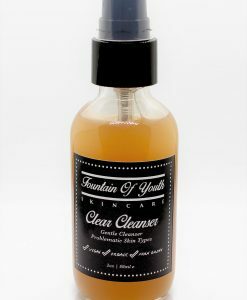 Wash away dirt and impurities and experience baby soft skin like never before with this multi-action, antioxidant cleanser infused with organic aloe and vitamin C. Gluten free, vegan and formulated without parabens, synthetic dyes or synthetic fragrance. Farm grown + fresh local ingredients from Portland, Oregon. Skin is cleansed and refreshed and is protected from harmful pollution. 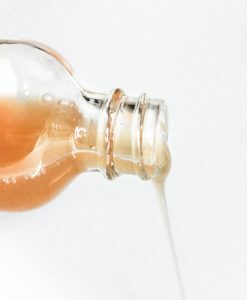 Skin is deeply cleansed without stripping moisture and skin appears brighter and smoother than ever. Gorgeous gel cleanser is soft and velvety on the skin and leaves the skin feeling soft and supple after use and free of excess oils. Aloe, orange, coconuts, vitamin c, licorice, & grape. Apply a small amount to wet face/neck. Rinse and follow with toner. Just OK. I still like the clear better for my acne. I do like the way it feels- its not drying at all. I have been using this product for about 8 months and it is the best cleanser I have ever used! My friend first told me about Fountain of youth products because she loved them & the girls who work here. I started using their products and have seen such a difference in the appearance of my skin (less breakouts). Love it! I really love this cleanser. I have oily skin and it is great for winter use, it isn’t overly drying. I like to use the clear one in the summer, which is a bit more drying and what I need in the summer. I really love this cleanser. It makes my skin feel so refreshed and nice, it has a smooth feather feel. I have extremely oily skin all over, except my forehead was dried out from washing with soap all my life. 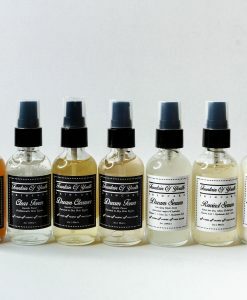 Now my skin has really evened out, dryness gone and oiliness under control (I also use daily clear toner beacuse its PH balanced, & clear moisture). I had A LOT of congestion around my nose and it did take about a month for that to work itself out but is now almost gone though I do still get a pocket of pus (yuck) coming out once in a while. But my skin is really clearing up and feels very fresh and soft, definitely a big improvement! Great Texture, comfortable consistency. Love the versatility of it! I sell this to all of my clients with sensitive skin who need moisture.. keep rockin girls youre line is great! I was so hesitant to try this product because my skin normally breaks out any time I switch up my skin care regimen even the tiniest bit. However, my go-to products had stopped giving me the results I wanted and I was breaking out more and more, even though I am 36 years old. Enough is enough! I needed to try something new. 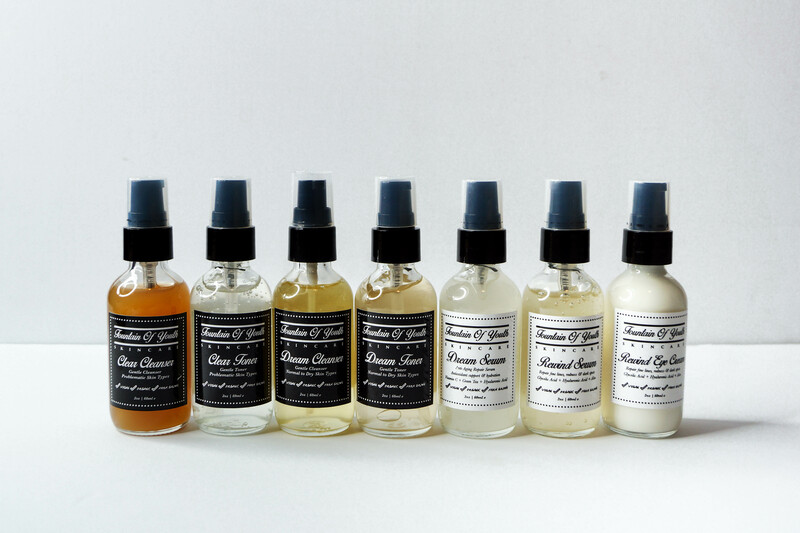 I ordered the skin care starter set for my salon and love every single product in the line–and so does my skin!! My skin hasn’t been this clear and bright in I don’t remember how long! I will never buy anything else again. i got this product at the green spa expo and loved it. i got lemongrass-my whole family keeps stealing it from me and im almost out! we all adore this cleanser! I love the LEMON essential oil scent and so do my clients! It smells like a lemon dream bar! But more importantly, as an Esthetician, it leaves your clients skin feeling smooth, soft and ph balanced. I LOVE THIS CLEANSER!!! So, I am 39 years old and I have been a product junkie to say the least and I have NEVER found any cleanser as great as this one! It removes all my makeup in one shot and makes my skin glow! I also use to get red after a shower or at night and this actually calms my skin down. I recommend this product! Love this product! My skin feels great afterword’s. 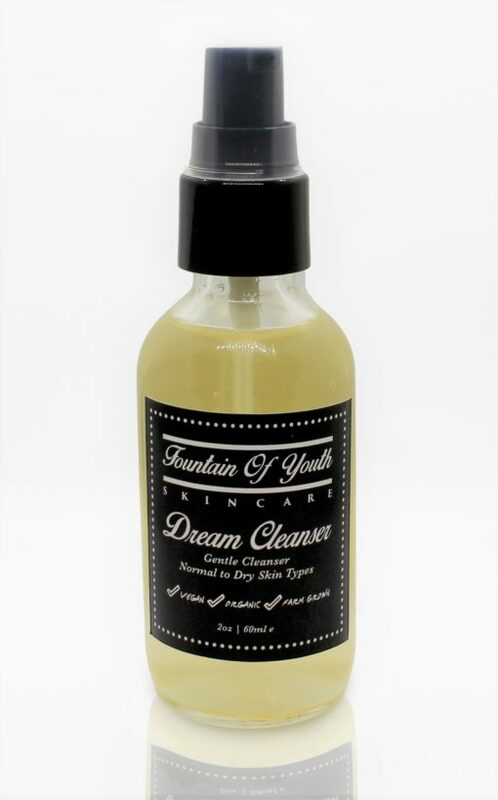 I use with Dream Skin Toner and I love the two together. Very happy customer!